The International Stadiums Poker Tour has announced changes to the format of the Wembley Main Event with competitors now playing the scheduled Day 1s at home! 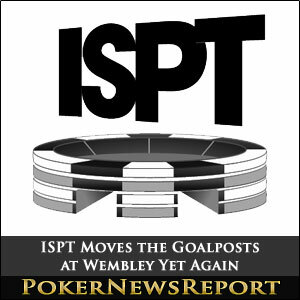 In a move designed to attract more (than 3) players to the inaugural International Stadiums Poker Tour, organisers have announced that the Wembley ISPT Main Event will now have six Day 1s which will be hosted on four different online poker sites. The revised plan should allow more players to qualify for the live poker section of the tournament – which is now scheduled to start on 1st June – as there is no limit to the number of times players can enter what are effectively €270.00 + €30.00 online qualifiers (down from being a €600.00 1R/1A). The top 10% from each of the six online qualifiers Day 1s will then carry forward their online chip stacks to the live event on Day 2, where they will be joined by players who can directly buy-in to the event for €3,000 and receive 50,000 chips. ISPT spokesperson – Laurent Tapie – anticipates that the prize pool could reach as much as €10 million. 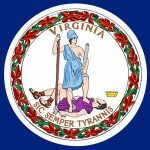 The Main Event prize pool is not guaranteed”, he was quick to point out, “On the other hand, this new tournament format and the innovative structure of the payout will be a success for the players. He explained that We listened to their constructive comments and advice to come up with a convenient yet innovative format. Having the possibility to play the main event from home, at an affordable buy-in was the choice of reason. It is estimated that 70% of the players who turn up at Wembley will get into the money – especially as those who qualify from countries outside of the UK with micro-stacks will find it uneconomical to make the journey to London to compete in Day 2. Satellites to the various Day 1s are now being hosted at each of the above poker sites.